We would like to introduce you to our daughter company that we acquired this spring. We were in touch for some time before and it was a mutual decision that we should cooperate more closely. 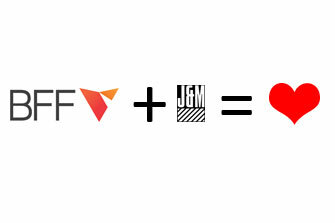 Let us introduce you to J&M agency. In business, success depends on your ability to transform. It depends on your ability to change the way you think, make decisions, and work as a team. J&M Agency is a team of people ready to help you make your business grow and flourish. These are their own words from their website. And they define them perfectly. Their work has captivated us. Their impressive history of 15 years of event management and 10 years of educative activities has persuaded us that they are the right partner for us. We have already organised several events together. As they are based in Prague, it is easier for them to reach the eastern part of the world while we focus more on the west. The bond is working well and we hope that we will enrich each other mutually with experience and know-how so that you, our clients get the best possible service.